DUNNET Bay Distillery, the Caithness-based firm behind Rock Rose Gin, is targeting the cocktail market with its latest release, Rock Rose Navy Strength. The navy strength edition has been released as a higher strength version of the original spirit, with an ABV of 57%, which Dunnet Bay Distillery said will allow the “unique taste of Rock Rose Gin to shine through in cocktails”. The new spirit is described as having the same botanicals as the original 41.5% ABV Rock Rose gin, which is said to contain a selection of locally sourced botanicals hand-foraged from the cliffs and forests of northern Scotland. Martin Murray, founder of Rock Rose Gin, said it was fitting for the distillery to release a navy strength gin due to the Caithness region’s connection with the Royal Navy. “We also noticed a real demand from bars to showcase the taste of Rock Rose Gin in their cocktails and this higher ABV means that our unique flavours remain prominent when served with other ingredients,” said Murray. The launch of Rock Rose Navy Strength follows a successful year to date for Dunnet Bay Distillery. This year has seen Rock Rose Gin appear in the Top 50 Food and Drink Products in the UK at the Great Taste Awards where the distillery was the only Scottish drinks firm to receive three gold stars. The distillery also picked up the best new launch design at the World Gin Awards 2015 and Rock Rose was awarded a bronze medal at the San Francisco World Spirits Competition. 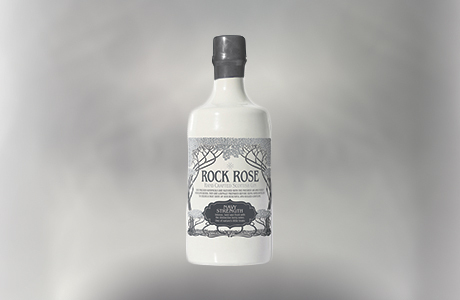 Rock Rose Gin was launched by Dunnet Bay Distillery in August 2014. The gin takes its name from Rhodiola rosea, a botanical native to northern Scotland which is said to give a “floral note” to the gin.